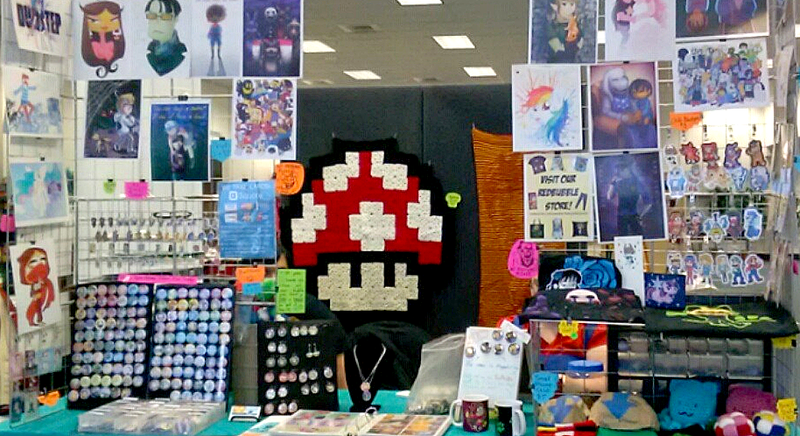 Artist Alley / Trade Show / Convention Art Studio specializing in anime and cartoon style merchandise, both original and fanart, for badges, buttons, magnets, bookmarks, t-shirts, charms, etc. We also take custom orders/commissions and offer graphic design. Follow our Twitter! Follow our Instagram! Order our Art on RedBubble!